A few years ago, when my wife and I lived in Florida, she got a pass for a two free movie tickets for some film. I can’t even remember which one. It was one of those free movie events hosted by a radio station. We expected it to be pretty similar to any of the million previous times we had been to the movies together. The people there all seemed to know each other. Many of them had done this free-movie thing before, and did it regularly. We had a long conversation with the local king and queen bee of free movie going, who knew everyone else and all the tricks on how to get free movie passes. They were also insiders, and right before the movie started a representative of the event came out and pulled the two of them inside for some kind of private consultation. We went to see a movie. We found a community. A secret, hidden community, not because they were trying to hide, but because there would be no reason or anyone who hadn’t peered through the shroud to assume they existed. To put it another way, I already knew there was probably a local taxidermy club. I know about taxidermy, and although I have no idea what those people or that community are like, I am at least vaguely aware of its probable existence. But the free-movie community was wholly unexpected. Not surprising, I suppose, but at the same time mind-blowing. It made me wonder how many of these unimagined but fully extant communities are out there, two inches to the left of where we live our lives. I found another one today. 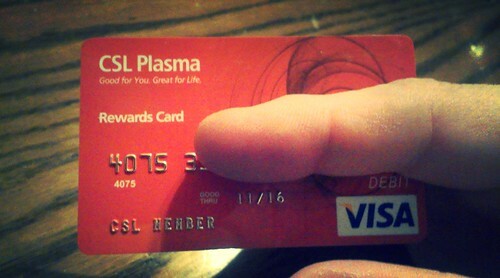 I discovered that you can make some money by donating plasma. Not bad money, too, for the amount of time it takes. So…I have now donated plasma! The website for the company with the local office has a lot of copy and imagery about saving lives and being a hero. They also have a rewards program. Donating one of your bodily fluids for use in medical procedures gives you points that you can spend on Target gift cards and discounts for Taco Time. If you donate enough, you can become a gold member. I don’t know what that means. When I got there, I checked in with the receptionist. She was very excited that this was my first time. I asked if it was mostly regulars. She told me it was. I showed them my IDs and read a booklet and then watched a video that had all of the same information in the booklet. I heard at least four times that although they test your blood prior to every donation, they ask that you not use this facility as a way to test if you have an STD or communicable disease. They didn’t actually say “There are clinics for that, dammit! Don’t waste our time!” But someone clearly wanted to. Then I went through a series of medical screening questions and tests with two separate but equally awesome women. The first was bubbly, and about ten feet tall She told me about the time she was in a trailer that was hit by a tornado. Fortunately, she didn’t die. The second woman was gruffer at first, but once I showed some empathy for the tedium of her situation she warmed up. We talked about how she could barely watch medical shows because of all the inaccuracies. I mentioned how I knew that defibrillators are used entirely wrong on television, and she burst out laughing and told me I was smart. I related how as a former chef I hate to watch people cook and eat on TV. The pizza is always cold. While I was waiting for my physical two other people waited with me. The first was a pink-haired girl who was very impatient. Last time she came in she had a bruise on her arm, and they told her they couldn’t take her plasma until it healed. Now she had to wait for the technicians to check out her arm. She’d been there for 20 minutes and kept pacing back and forth and calling her husband to complain. The other person waiting there had been told that he answered a screening question wrong, and therefore had to wait. He was annoyed and nervous. I told him they stuff I read only mentioned heroin and cocaine, and besides marijuana is legal in Washington now anyway. He shhed me to keep my voice down, because an Authority Figure was walking by. Once all this was done, the defibrillator nurse took me out to the extraction room. They didn’t call it that. They didn’t call it anything. I got priority because I was a first-timer. A VIP, you might say. I went and sat in a curved blue bed in a large room full of curved blue beds. Almost all of them were full. I expected a bunch of quiet people, checking their phones and pretending everyone next to them didn’t exist. The kind you find in patient waiting rooms all across the country. I was very, very wrong. Many of these people knew each other, and knew the technicians. There was life and energy and conversations. One of the technicians got excited when he saw one of the donors, and ran up to ask how her sister was doing. They talked for several minutes. A woman had a seizure nearby, and both the staff and the donors got very worried. It all worked out, though. Apparently she has seizures fairly regularly, and she always warns everyone right before she’s about to have one. To the best of my knowledge, she’s just fine, and once it was over everyone settled back down into their comfortable routine. Soon enough, pink-hair and marijuana guy were seated right near me, and we struck up a conversation. They were in much better moods now that they were done with the waiting process. Pink-hair explained that her husband and kids were waiting in the car, and that’s why she was impatient. She’d been coming here since this facility opened and knew all sorts of little tricks. She and marijuana-guy had never talked before, but they’d seen each other. Pink-hair’s husband thought marijuana guy was Samoan. He said he wasn’t, and she laughed and described the shocked look her husband would surely have when she told him he was wrong. When she left, she told both both of us it was nice to meet us, and that she’d see us around. She assumed I’d be back. I also struck up a conversation with the woman on my left. She explained the equipment I was hooked up to, and what all of the tubes did and what the meters indicated. She wasn’t a technician, just a donor. And, by the end of that hour, kind of a friend. She and pink-hair knew each other and were clearly friendly. Yesterday I knew that I would give plasma today, if nothing went wrong. I knew I’d get some money for it, and be entered into a reward program. I had no idea I’d find this weird little community I would never have imagined if I hadn’t seen it myself. I’m definitely going to keep giving plasma for the foreseeable future, but will I become part of this community? Will I make new friends, through a strange, hidden group whose only tie to each other is the extraction of the liquid medium of their blood? 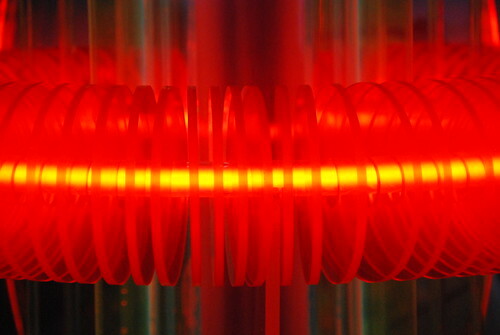 Will I, in fact, become one of the Plasma People? “Whoa, slow down,” said Sintra as she cooled her skid to a halt. “What is it?” Mak flipped his skid sideways against the rail for a quick break, and sparks few into the air. He darted his head around to see if anyone was watching to see how cool he looked. There was no one there. Sintra smirked. “Check that out.” She pointed to an orange and green glow at the far end of the tracks. “I want to check it out.” Sintra hit the fullbreak on her skid and it folded down into a foot long bar of metal, its resting form. She slipped it into the holder on her back with a practice motion and sprinted towards the edge of the tracks. As they approached Mak saw what she meant. It was a non-standard vender. Whatever it spit out wasn’t what they were used to. Sintra had seen it and made it out at 75KMPH. The girl had damn keen eyes. As they approached he made out the shape the orange and green took as it became clear through the mist. The shape of a can. “Girl, how’d you see that through all this?” he waved his hand through the mist. It was thick enough to leave trails. Sintra tapped the carbon-glass lens of her eye enhancement with her fingernail. It made a plink sound. Mak shuddered. He wasn’t a lud or anything, but watching someone touch their eye, organic or inorganic, squiked him out a little. “I haven’t seen a new energy drink in forever,” Sintra said. Her eyes were wide with excitement. Sintra stepped off the tracks and onto the ped platform to read the writing. It was small enough that even she couldn’t see it from anywhere but up close. Mak looked around. There was nothing that he could see except for the vender. No timetable signs, no tik booth, no flashy banner ads trying to sell the latest tooth-cleaning microbes. No people, either. In all his years skidding the rails he’d never seen a ped platform with no people. Dead at the dead of midnight in winter or in the middle of the Founder’s Day Parade. There was always someone. Was this even a ped platform? Were they even anywhere? With this much mist and no one around, it felt like a dream. A natural dream. “What?” Mak shook out of his reverie. “No one’s ever used it before,” said Sintra. “Maybe all the jazzy names were taken.” She was running her hands up and down the side of the vender like she was fondling it. It was weird, but it was Sintra. Mak barely noticed anymore. “There sure have been a damn high number of energy drinks,” he said. “Yeah,” said Sintra. “And I thought I’d tried every one out there. But I guess I missed one, because I don’t think this is new. Look.” She pointed to one edge of the machine. “I think it’s rust,” said Sintra. “Tight,” she agreed. “Worth it. I need the speed more than I need the cash.” She slipped the card into the insert. The front of the vender shifted to a white-blue background and the interface popped onto the screen. The light was so bright it spread into the thick mist and gave the whole platform a ghostly glow. Sintra turned back to him with a wide grin on her face. It made her look like an ultraviolet skeleton. “Look at this,” she said, waving him over. He walked up behind her and looked at the screen. The interface only showed one flavor: Energy. It had a floating number and a + and – you presumably had to touch to tell it how many drinks you wanted. She hit the plus sign twice, and the number changed from 0 to 1 and then to 2. Next to the number of drinks another number appeared. $18. There was a whirring sound, and two cans appeared in the slot at the bottom of the vender. They both reached down and pulled them out. Mak looked down at his can. Sure enough, it just said “energy.” It was a weird design, too. There was a ring dangling off the end, rather than the usual pull tab. Mak shrugged. There wasn’t an obvious way of opening it, so he put his finger in the ring and yanked. It tore the entire top off in a single moment, and the contents exploded outwards and splashed onto Sintra. “Aaagh!” she cried as the liquid got into her hair, all over her shirt, and in her eyes. She shook her head. She blinked, and then prodded her shirt and her jacket and wherever else the stuff had landed. The shirt changed color and design. The jacket flipped from leather to wool and back to leather. “All my tech seems to be working,” she said. Mak sighed. That was a relief. It was all water-proof, of course, but who knew what else was in this stuff? “You’re such an idiot,” she said. She shook her head and laughed again. “Let me show you how it’s done.” She pulled the ring, only more slowly than he had. Once again the entire top of the can came off, not just a hole for drinking. But it didn’t explode. He gulped down and enthusiastic mouthful. He scrunched his face at her. But fair was fair. “Maybe it’s cell powered,” said Mak. “But still,” she said. “Would somebody just leave a cell powered machine sitting around? Weren’t they all tagged and smashed after the uprising? That’s silly dangerous. I mean, what if it…” She trailed off. He knew what she was going to say. What if it woke up. Mak nodded, and looked over her shoulder at the machine. “Holy hell!” Mak he screamed. Sintra’s eyes widened. Then her face went blank. “Wait,” she said. “You don’t think…” She looked down at the can. She held it up to his face so he could see the single word printed on it in large, orange and green letters. Sintra looked down at her shirt and her jacket. They were dry. There was no sign that the foul drink had every touched them. Like it had all been absorbed. “Oh my god,” she said, her voice thick with panic. “My shirt. It’s trying to…aaaaaaah!” She grabbed her shirt and pulled it over her head like it was trying to eat her. “I know,” said Sintra. “Now come on. Let’s get out of here.” They put the partially full cans down on the ground instead of the vender, and walked back into the mist of the tracks. Neither one of them looked back. This music teases me with the memory of stillness. Of peace and tranquility. When I remember it I can almost feel it. Almost. A fire cracks and night birds call out their cry. It’s called song, but it’s not really song. Sets of notes in sequence. It’s less melodious than song, and more beautiful. My head hurts too much to be calm. There is too much fire in my throat. When I relax from distraction I remember all of the bills I haven’t paid. All of the potential clients I haven’t reached out to. All of the dreams that fester in the unventilated basement of my mind. Dreams never die, but you don’t have to die to decompose. If something can’t die, that just means it can keep rotting forever. The notes of the music sound. They resonate throughout my brain. Through my skull and my bones.They raise the hairs along my arms and the other exposed places of my skin. A long, held note, accompanied by others. It is soothing in a deep way. A way that feels fundamental to all of existence. The background-radiation mantra of a meditating universe. Are we its thoughts? Are we the tiny distractions that dance into its conscious awareness and prevent it from focusing on its breathing? We are significant only because the universe cannot concentrate. How can we achieve peace, if our very form is that of a disturbance to the universe? Yet it tempts me. It tries to pull me in with it. If only I could let myself go. If only every part of me could resonate with the notes. I’d have to stop moving. Stop running inside my own brain. Stop spinning the wheel of the mill, round and round, to turn the wheel that is grinding nothing. That’s all it would take, says the music. Just stop. Just rest. Then you’d be calm. Peace would be yours. My brain won’t let me. It refuses to believe. What if I’m a shark? What if the moment I stop moving the oxygenated water will cease to pass through my lungs and provide my breath? What if the moment I stop fishermen will snag me in their nets and cut off my fin for their soup? We’re all moving forward all the time. The earth hurtles through space, we hurtle through time. The arrow of time was fired from the bow of an angry archer who thought only of his target. He knows he cannot recover the arrow, so what does it matter if it splinters into shards against the wall? Life needs to keep growing or it dies. So do economies. We are biological machines and the moment you turn us off you can never turn us back on. It’s a poor design that would never work for a vacuum cleaner. But we’re more complicated. So defined by our complexity that we’ve become addicted. We have to keep growing. We have to keep adding complexity or we calcify, then freeze, and then die. But we don’t stop growing. Not really. Our dead, useless machines become a rich bed for other organisms. A place for millions of other complexity addicts to get their fix. I’m scared of peace. I’m scared of calm because it’s motionless. It’s adrift. And because it’s meaningless. Perfect peace has no purpose. The Buddha said that the ultimate goal is nonexistence. If you do everything right and achieve the purest and highest form of peace and stillness, you die. Fully and completely. You achieve perfection through meaninglessness. True perfection has to be meaningless, because meaning requires that there be something more than what is there. You bite into an apple and it makes you feel good because you know it is organic and locally sourced. That is meaning. But if you take the perfect bite of the perfect apple none of that matters. The sensation of joy is so singular that it requires something else. Maybe later you’ll remember whether there were herbicides used in its growth, and maybe that will matter to you. But if that is in your mind while the sweet flesh lingers on your tongue, if meaning matters in that moment, then the moment is incomplete. It’s imperfect. You can never understand perfection, and you can never understand calm. Not while you are there in the middle of it. Understanding is a disruption. It requires an outsider who is not part of the experience, standing and watching. Taking notes because they wish desperately to comprehend an experience through reduction that cannot be comprehended because of reduction. Because the act of ratiocination is an extra element that does not belong. It, too, needs to be removed if you want to achieve stillness. It is hard for me to trust what I don’t understand. To cease moving is an act of faith. I’ve been there, and it’s beautiful. No, it’s that deeper place that beauty is built upon. If beauty is staring at a mountain shrouded in fog until tears line your eyes, then stillness is the mountain. It doesn’t need you and your emotions to be magnificent. It just is. I’ve been there, and It Is. I know this. I know how I feel when I am there, and I know how beautiful I feel when I come back. Yet still I’m afraid. Afraid to stop moving. Afraid to stand still. Because I understand something. As far in as I’ve been, as much as I have slowed down, I have not reached the deepest part of the well. I have never achieved complete calm, or absolute stillness. I have brushed my fingertips against perfection, but that is all. Because I have come close enough to figure out something that is true, magnificent, and terrifying. If I enter that place I might never come back. Stillness leads to death not just because we must always grow. But because everything we love, all of our joys and hopes and dreams, they are imperfections. They are illusions. We desire them only because we have never drank of perfection. If I want to be this person that I am–this fake, illusory person–then I need my suffering. I need the stress that is the inevitable result of movement. You cannot run forward without burning energy and creating waste. Entropy is exists is all reactions, and so only non-reaction is perfect. But all meaning comes from reaction. Meaning is a waste product, but it is also the source all beauty, all joy, all magnificence. This music tempts me. It sings its few notes of stillness and they are all that is needed. It whispers to give up my fear and step into the still waters. It doesn’t matter if I drown. My lungs and my breath and my entire being won’t matter once bathed in that total perfect. I will approach, because the feeling is sublime. But I will not listen to the whispers. 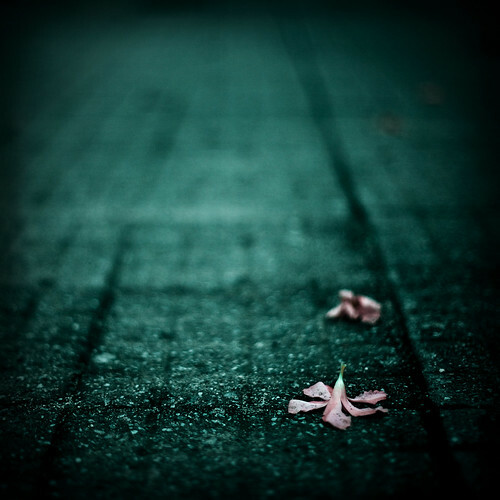 As I step into the place of calm and stillness, I will keep a tiny fragment of fear in my pocket. Just enough that I will always return. I will always choose to continue to be a person, even if that is flawed and imperfect. Because there is value in this flawed and addicted universe. There is magnificence. There is meaning. I don’t want perfection. The illusion is too beautiful.